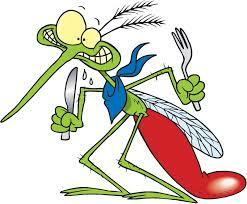 Mosquitoes are pesky and bothersome. They know how to ruin a good party by landing on your food or in your drink during a summer backyard BBQ. They make a conversation difficult as you spend most of your time focused on swatting, dodging, or spraying away the small annoyances. Not to mention, if you are the unlucky one that it scopes out and lands on, you can expect to see a tiny red bump that will leave you scratching for days, or worse, a longer lasting disease from their nasty bacteria. Doubts are much like mosquitoes. If you let them swarm around, they will pester you. If you let them land, they will eventually bite, leaving you wounded. They will invade your thoughts, words, and actions leaving lasting effects that can cause anger, bitterness, fear, anxiety, and hopelessness. Between the two, I would rather fight off a mosquito. No matter how strong we are in our faith, I have learned no one is immune to doubt because we all have it from time to time, just as we all face those troublesome mosquitoes. Even some of the greatest men and women of the Bible had to deal with doubtful moments. Abraham doubted when God told him that despite being old and his wife barren, he would be a father of many descendants. Sarah laughed when she was told she would be a mother at the age of 90 (I would have fainted). Thomas doubted when Jesus had risen from the dead. Zechariah was a priest, a Godly man, and he voiced his doubts about becoming a father after he and his wife were unable to conceive. Even the amazing John the Baptist, while in prison, doubted if Jesus was the Messiah. Doubt happens even to the best of us, but it is what you do with the doubtful thoughts that matter. You can either let them swarm and land, therefore causing destruction and stealing your joy, peace, hope and even faith. 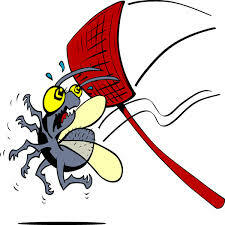 Or you can get out your fly swatter, bug spray and Citra candle in order to fight them off so that you can receive all the wonderful blessings God has for you. What are you going to do? 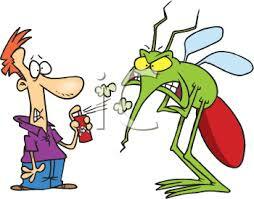 Below I have listed several bug repellents that I often use to fight off those pesky mosquitoes doubts before they land causing far more destruction than I have time for. Cause ain’t nobody got time for bitterness, despair, and hopelessness while on this journey towards hopefully (and happily) changing poopy diapers, waking up at all hours of the night and having your favorite shirt ruined with spit up. For more scriptures on healing, please click here. What are some mosquitoes you need to destroy? Today is definitely one of those days for me. Everything I see around me is just eating away at me. It is so hard to focus at work today. I am trying to just keep my head down and get some work done. This post has helped bring me back to reality. That puts a huge smile on my face!!! In my devotional today it said…”Gaze at God; glance at your problems.” Too often we gaze at our problems but only glance at God. That simple line has really stuck with me today. Thank you so much for that sweet compliment!! A great post on repelling our doubts with God’s faithful word! Amen! The Word is the only way to keep solid hope alive and doubt away. That’s why Jesus often said, “It is written…” He knew what could shut the devil up! lol! Love love love!! Scripture keeps me sane. Lol. I have them everywhere. As my phone screen saver. On my mirrors. Flash cards. I will probably screen shot these to refer to when needed. Thanks for sharing. Excellent post! Riddle me this, I prayed Sunday night for a successful work week, one where no one cancelled their appointments and one where I would get all the work hours needed and I got a cancellation for the next day an hour later. Then three more the next day. I have never had that many in a day! Am I being tested? Possibly…? Or maybe God see’s the bigger picture while we just have a limited perspective and so He didn’t answer your prayer in the way you would have liked at the time. Usually when something like that happens I literally say out loud, “I don’t understand but I trust you God.” I trust that either He knows something that I don’t know or that He will make all things (the bad) work together for my good (Romans 8:28). My thoughts were that He will make the work week productive, just not in the way I wanted and I have to trust that He will make it happen. Very similar to the biggest thing I’ve been praying for. What a wonderful resource! Thanks for putting this together! Thanks for reading Tori!! These scriptures have come in handy for me fo’sho! You are so sweet! How you can celebrate and have joy for others despite your own journey; you shine so brightly! It simply by the grace of God and that’s not a cliche…I seriously pray for His ability to love and be joyful. I also pray continually for Him to fill me with hope to keep me going and saying the words, “I’m Next” whenever I hear of yet another announcement. Amen! I pray you will be next! Oh this is good stuff. It’s like the armor of God, mosquito-style! The thing is you can squish a mosquito, you can’t squish the doubt…..well you can but it isn’t easy. I love this post! Thanks. I’ve been having lots of doubt this week. Thank you for this blog post. I will be rereading it and printing out the scriptures. Very good and inspiring. Some scriptures I currently use and some I will be adding to my arsenal. Oh me love surprises!! Thank you!!! Wahoo! Talk about putting on the armor of God – These are GREAT verses!!! Thanks for typing all of this up! This is awesome!! Dang mosquitoes!!! We command you to FLEE! Doubt definitely is the hardest to overcome… wondering whether you are doubting yourself or God and then start feeling guilty. But then your logic sets in – is blind faith also good? Sometimes God does say ‘wait’ or ‘no’ to our prayers and I cried a lot during the whole process asking God if I missed his answer and I’m just praying for nothing. But i KNOW he hears us and sometimes I know God also changes his mind. The one thing that I cling and hold on to is that God can not go back or change His mind regarding the promises He has made through His word. Numbers 23:19 says that He is not human that He should lie or the son of man that he should change his mind. He does not speak and then not act. He does not promise and then not fulfill. I cling to this verse often. This is a great collection of great verses! What a peace there is to be found in countering our fears, doubts, and hurts by reciting the Scripture! What an wonderful and encouraging post. I certainly feel armed and dangerous to destroy those pest of doubt. Thank you for sharing. BTW I will be praying in agreement with you regarding your baby bird;=) Can’t wait for the miraculous testimony!!! !